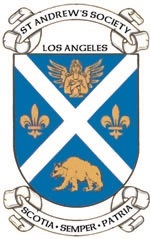 LSE alumni and friends are invited by the St. Andrew's Society Los Angeles to join them for a meet-up. Join St. Andrew's Society Los Angeles for an informal gathering to once again celebrate The Patron Saint of Scotland, St. Andrew, our Scottish heritage, and the camaraderie of your fellow members. What better place than the Tam O'Shanter, long acclaimed as the iconic Scottish venue in Los Angeles. This is a St. Andrew's Society Los Angeles event.